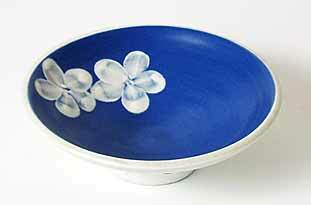 Small dish - 3¾" (95 mm) diameter. Initialled M.K. - not Madeline Keeler.